We are B! A.P! Yes Sir! The first thing we see is some shiny thing fly across the sky during Bang & Zelo’s live performance, which we find out to be the other 3 members finally reaching earth. Their costumes and hairstyle are epic (& all-black). Anyway, the members take turns to be the narrater for the 1st half of every show, Young Jae in this episode. The 2nd half of the show mainly revolves around them making their chant (introduction). This time, the members are finally properly introduced one by one by Dae Hyun (who has a busan accent), The second half of the show is the making-of their teaser. The members all show off their cool sides as they dance to the background music and show off their moves. Yong Guk starts to wonder what is a charming man, or rather what one has to do to become a charming man. This part is pretty hilarious. (watch it yourself). The 2nd half of the show is a… BAP cooking competition! hahaha! I wonder if it’s edible. The first half of the episode is the continuation of BAP’s cooking competition, followed by Jong Up’s lesson on their first single “Warrior” choreography. There are some funny moments as the boys play around. 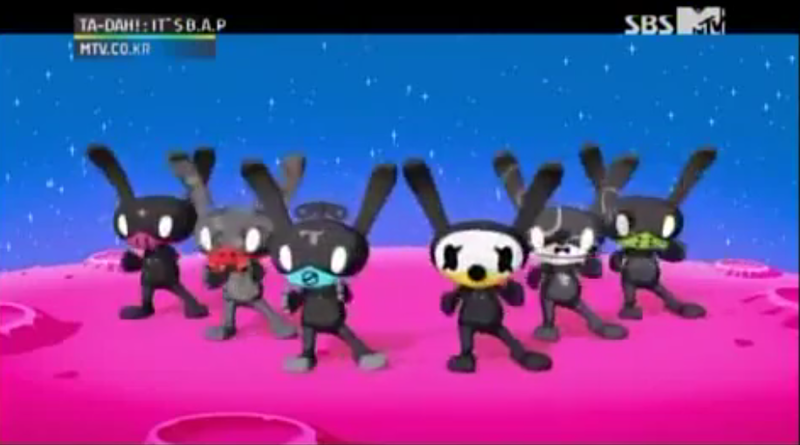 This episode is all about the preparation of BAP’s showcase with clips of their interview and some BTS. The boys are really natural (for rookies) during the interview and are enjoyable to watch. This episode is about the members monitoring their showcase and we get to see most of the showcase too. The members talk about the showcase. This is your chance to see all their song on their first mini album performed live. The members shoot the music video from their song Secret Love (feat. Ji Eun) in this episode. Watch as the members direct, edit and act in their own home make music video. This week, Zelo the robot has broke and his character changes to that of a rude one. He suddenly demands a change in commander (previous commander being Him Chan) they are split into two teams headed by Yong Guk and Him Chan with Dae Hyun becoming the referee (don’t ask me why). They battle it out with games. And *** won! All synopsis done by me. Please credit if you are taking them. Might I recently say exactly what a alleviation to find somebody who truly knows what they are speaking about over the internet.